The HoodReplace program will copy any selection of: terrain, roads, bridges, trees and decorations from one Sims 2 neighborhood to another, completely replacing the selected elements from the existing neighborhood. There is an option to fix the elevation of various elements. Structures, such as lots, will be moved up or down to touch the new terrain. This should reduce problems such as lots flying in the air or disappearing underground. At this time, the elevation of bridges cannot be adjusted. There is also an option to remove an entire type of structures, such as all trees or all decorations. Because this program allows you to select which elements to copy, rather than having to copy everything, you can do things which used to be very difficult. For example: you can now add roads to a neighborhood without losing your existing neighborhood trees and decorations. Version 2.3 adds the option to fix the elevation of roads. To install, just download HoodReplace.zip and unzip it. Run the EXE from the unzipped location. This is "alpha" software and is still in development; it is not guaranteed to work and may corrupt your neighborhoods. Be sure to backup your game before using this tool. I have included the source code for version 2.2 in HoodReplaceSource.zip. There is no need to download this file unless you are a C# programmer who wishes to look at or modify the code. I left the previous version (PreviousHoodReplace.zip) available, in case there are any unforseen problems. There is no need to download this file. - HoodReplace is released under the GNU General Public License. - Make sure that you are not running other programs which access your save game, such as the game itself, BodyShop, SimPE, or any other program which modifies the save game. - Backup your game files. - Run HoodReplace.EXE and select the "from" and "to" neighborhoods. If your neighborhood is not in the standard location, use the Browse button to select the neighborhood. - Choose all of the neighborhood elements which you want to replace. - Choose whether to fix the elevation of each type of element. - Choose whether to remove all elements of a specific type. - Click on the Copy button. 1) HoodReplace has been tested with all EPs and SPs up to and including Mansion and Garden Stuff. It may not work with later EPs and SPs. 2) Even when HoodReplace fixes the elevation, there is a possibility that an element will be partially underground or in the air. You should be able to resolve many of these issues by moving the objects by hand in the neighborhood view. If problems continue, try repeatedly running HoodReplace and then moving the lots and objects in the neighborhood to adjust their elevation. Each iteration should bring you closer to your desired result. 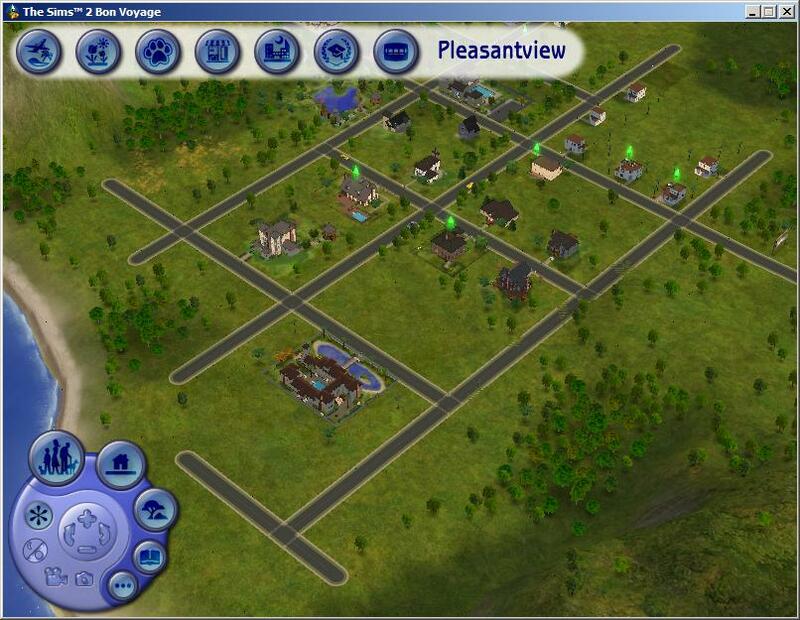 - The Pleasantview SC4 file which shipped with the game doesn't actually match the Pleasantview neighborhood terrain. 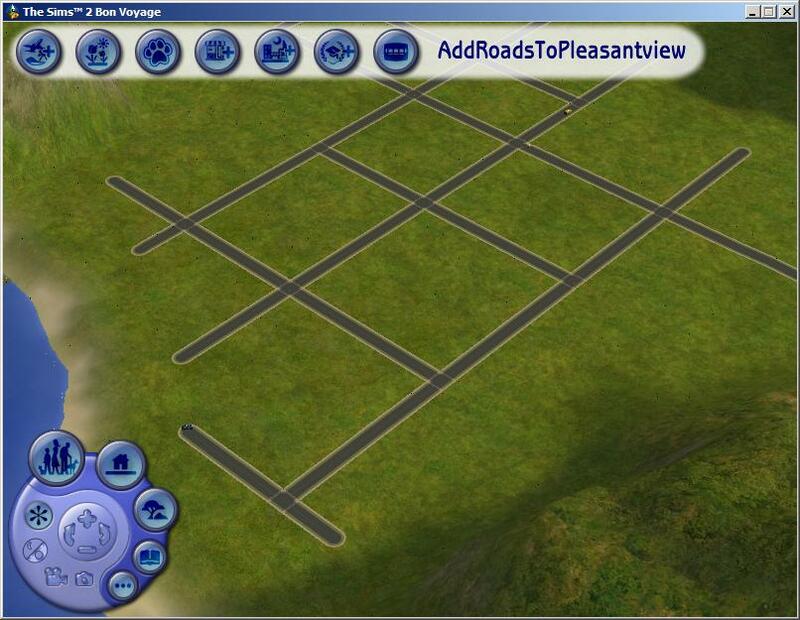 If you want to add roads to Pleasantview, you can download Melly_Sim's fixed Pleasantview SC4 file, attached here. 990 people have said thanks to Mootilda for this download. Extract: You must extract all files from the .zip file. I recommend that you create a new folder on your hard drive to hold all of these extracted files. A reasonable location would be in a subfolder of your C:\Program Files directory. I do not recommend that you place these files into your Downloads folder.